Burmeister & Wain recently announced that 29 of 44 vessels ordered by Hon}? 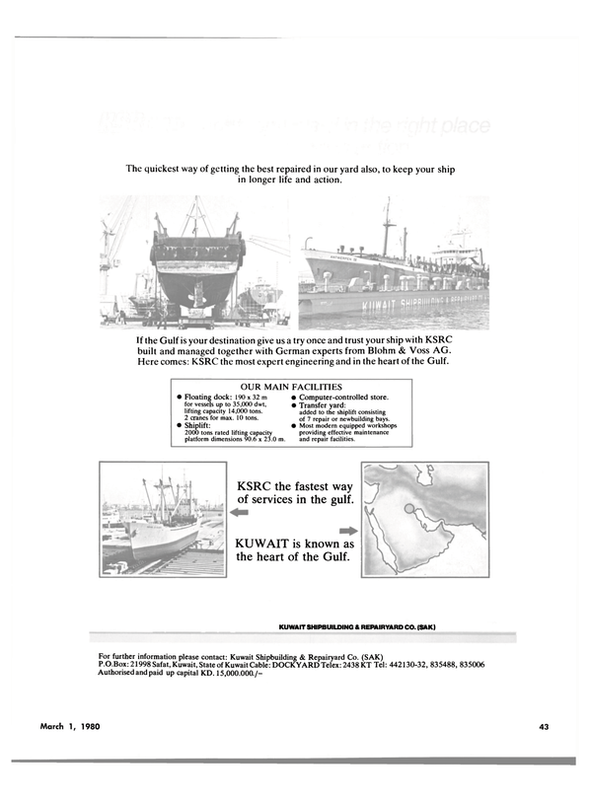 Kong shipowners f o r delivery in 1980-81 will be equipped with B&W engines. W o r l d Wide Shipping Ltd., headed by chairman Sir Yue- Kong Pao, has chosen Burmeister & Wain's new engine type LGFC( A) for 18 of the 24 ships ordered for delivery in 1980-81. The total propulsive power for the 18 vessels exceeds a quarter of a million bhp. The engines will be delivered by B&W's licensees, Mitsui Engineering and Shipbuilding and Hitachi Zosen, as follows: Mitsui— four 7L67GFC and two 6L67GFCA engines; Hitachi—two 6L90GFC, two 6L90GFCA, one 6L80GFCA, one 7L67GFC, and four 8L55- GFCA engines. In a d d i t i o n , two 6L80GFCA (Japanese License built) will be delivered for installation in ships built by Kawasaki Heavy Industries, Ltd.
Wah Kwong & Co. (Hong Kong) Ltd., headed by chairman T.Y. Chao, has chosen Burmeister & Wain's L-GFC for 11 of 20 ships ordered for delivery in 1980-81. T h e s e e n g i n e s will also be d e l i v e r e d by B&W's licensees, Mitsui Engineering and Shipbuilding and Hitachi Zosen, as follows: Mitsui—one 6L80GFC, six 7L67- GFC, and three 6L67GFC engines; Hitachi—one 6 L 6 7 G FC engine.